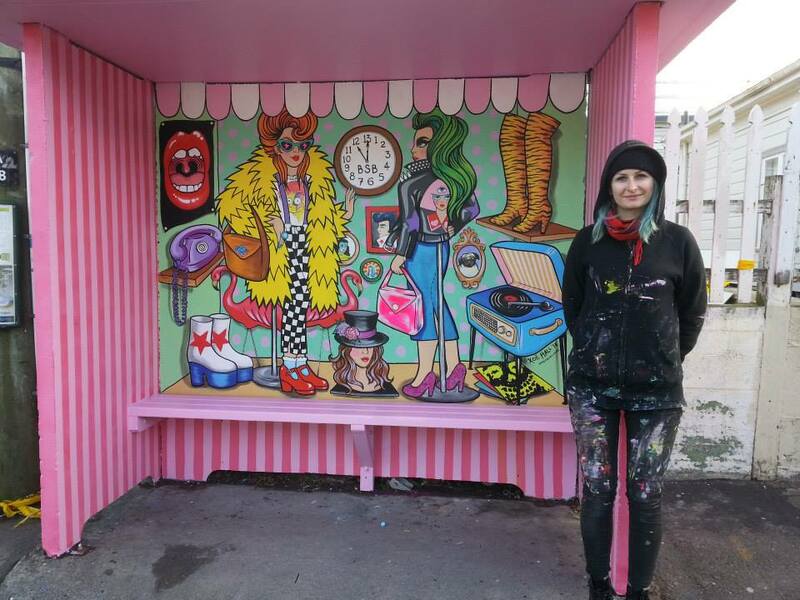 Xoë Hall – Pop Artist/Muralist/Designer has made Berhampore more beautiful with her crazy concept of a Bus Stop Boutique. Xoe talks about how she got this project past ‘Go’, what things have influenced her to become a pop artist and how she is part of the exciting wave in Wellington’s street art culture. This entry was posted in Arts & Culture and tagged Cuba St., Newtown, Street art by lauriestarfish. Bookmark the permalink.